The Dragon cargo capsule splashed down at about 3 p.m. EDT (12 p.m. PDT; 1900 GMT) in the Pacific around 400 miles (650 kilometers) southwest of Long Beach, California, where a SpaceX recovery team was in position to retrieve the spacecraft, pull it onto a boat, and return it to the Port of Los Angeles. The successful splashdown Saturday marked the conclusion of SpaceX’s 14th resupply mission to the space station under the space transport company’s more than $3 billion, 20-launch cargo contract with NASA. 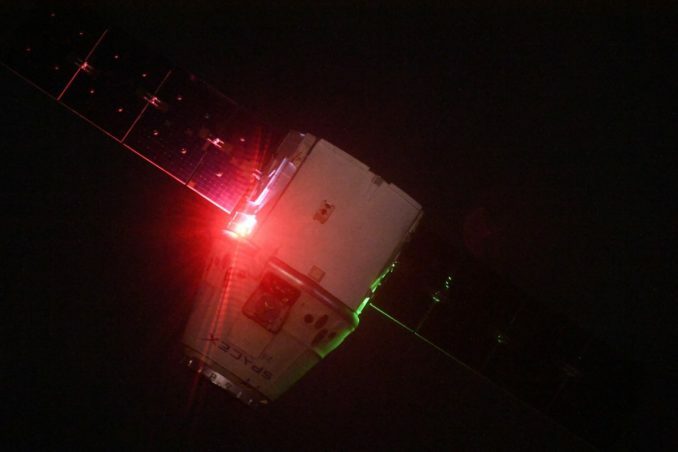 It was the third round-trip cargo flight with a reused Dragon capsule. 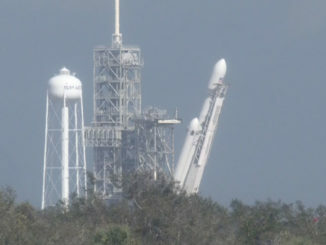 The SpaceX recovery crew planned to return the spacecraft to port by early Monday, hand over time-critical experiment specimens to NASA and other research groups, then transport the Dragon to a facility in McGregor, Texas, for servicing and refurbishment for a possible future mission, according to NASA spokesperson Rob Navias, who provided commentary during the ship’s departure from the space station early Saturday. The Canadian-built robotic arm on the space station released Dragon at 9:23 a.m. EDT (1323 GMT) Saturday, and the commercial cargo carrier fired its thrusters to fly a safe distance from the orbiting complex. Draco rocket jets on the supply ship fired at 2:06 p.m. EDT (1806 GMT) for a deorbit burn, and the Dragon’s disposable trunk segment detached to burn up during re-entry in Earth’s atmosphere. The pressurized component of the Dragon spacecraft, packed with 3,843 pounds (1,743 kilograms) of equipment and research samples, was protected by a heat shield and deployed parachutes to slow its descent. Hitching a ride back home with the Dragon was NASA’s Robonaut 2, a humanoid robot launched on the final flight of the space shuttle Discovery in February 2011. 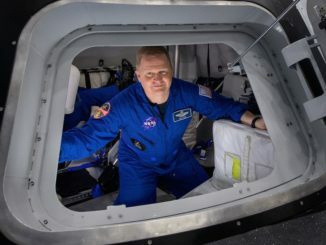 “Robonaut has had some issues with being able to power up on-orbit … and after a lot of troubleshooting on-orbit and a lot of analysis on the ground, they’ve concluded pretty conclusively that there’s a short of some sort on one of the circuitboards, and they need to bring it home in order to repair that,” said Pete Hasbrook, NASA’s associate space station program scientist, before the Dragon mission’s launch. Mice rode back to Earth on Saturday inside special habitats aboard Dragon, and freezers carried biological samples collected on the station for analysis by scientists on the ground. The spacecraft’s expendable external cargo bay was loaded with a failed pump flow control subassembly, which regulated the flow of ammonia coolant through the space station’s thermal control system. The pump was tagged for disposal inside the Dragon trunk. Dragon’s departure was scheduled for Wednesday, but high sea states in the splashdown zone prompted SpaceX and NASA officials to keep the spacecraft at the space station until Saturday, when a backup landing opportunity was available. Saturday’s return of the SpaceX supply ship cleared the space station’s Harmony berthing port for the arrival of an Orbital ATK Cygnus cargo craft later this month. 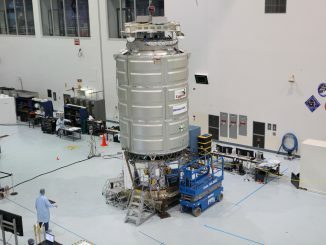 The Cygnus resupply mission is scheduled for launch May 20 aboard an Antares booster from Wallops Island, Virginia.